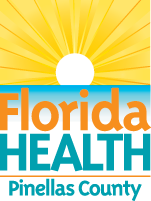 How can we ensure equal access to health care services in Pinellas County? Addressing access to care can reduce barriers to health such as inadequate transportation, cultural or linguistic barriers, technical infrastructure, and social and economic barriers. Disparities in access to care have been linked to disparities in health outcomes. Such disparities can be seen in deaths due to chronic disease and in infant mortality rates in Pinellas County. Goals, strategies, and objectives were developed by the Access to Care work team participants listed below and community stakeholders.